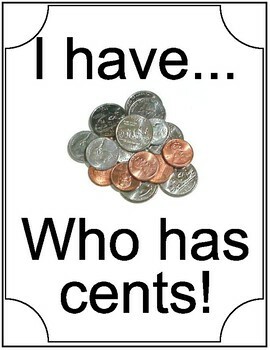 I have... Who has... cents is a game played with two or more people. 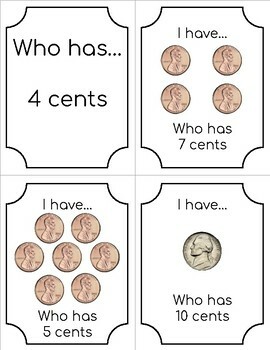 It explores counting cents in their own groups. This download has two sets of game cards. 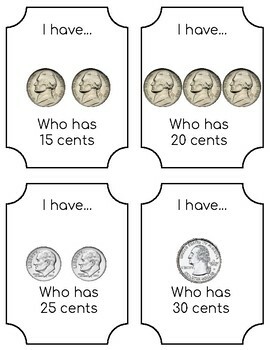 One with the word "cents" and one with the symbol "¢". 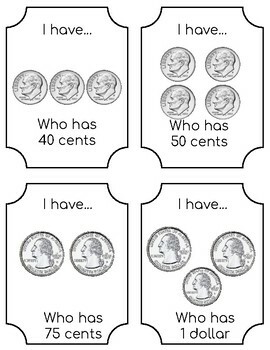 This game is great for those students just learning how to count coins. Enjoy!